CRM or Customer Relationship Management is as old as commerce itself. However, in the last couple of decades, the meaning of CRM has changed to CRM software. The concept of CRM has evolved to a large extent, especially in the Indian context. A couple of decades before, it was predominantly used by the large enterprises and was also limited to the basic functionality, generally customer database only. However, in recent years even SMEs have started to take advantage of CRM. This has been possible because of the advent of newer technologies and concepts like SAAS and Social Media integrations. 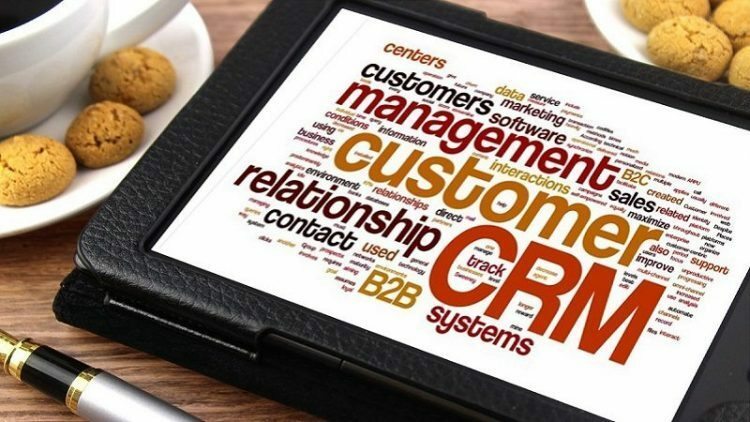 Also, now the scope of CRM has increased from a mere customer database to a 360 degree view of customer interactions from various channels, including, but not limited to; telephony, chat, emails, customer portals and mobile apps. Initially, CRM was used as a customer database and an extension of any larger ERP (Enterprise Resource Planning) implementation. These were large database applications which had essential enquiry management features. The primary purpose of these CRM systems was to give MIS (Management Information System) reports. These were more of reporting tools than day to day productivity tools as the CRM is today. The MIS reports were merely used by marketing division to understand customer segments and target marketing efforts accordingly. When email became the primary tool of business communications, people started to realize the importance of email automation in their CRM strategy. Slowly the line between marketing and sales began to disappear in case of CRM definitions. Email marketing started to become the part of CRM. Apart from the marketing and sales department, inside sales team began to get in shape. Inside Sales is more relevant to B2B as compared to B2C. The primary role of inside sales team was to generate direct leads for sales team or do prospecting of the leads generated by marketing teams. The integration of Telephony and CRM has led to the popularity of Call Centre or better known as Contact Centers. Initially this was accomplished by On Premise Telephony Servers. These are now being replaced by Cloud Telephony Solutions. It has become crucial for businesses to use telephony solutions to engage with their customers. Hence, integration of Telephony with CRM is the need of the hour. The latest buzzword in CRM space is Social CRM. Consumers and buyers are relying on social media to a great extent for their buying decisions. So sellers are using CRM with social media capabilities to monitor and influence buying patterns of buyers. With the advent of online E-commerce, the importance of social media in CRM has increased many folds. Initially, CRM was affordable only to Enterprises, because of its enormous cost. This was because of costly software and expensive infrastructure required to implement CRM. But SAAS changed everything. Now, the expensive CRM software became available as a service, affordable to almost everyone. The biggest challenge in the adoption of SAAS as the mainstream solution was internet access. With wide spread usage of internet across the country and broadband becoming cheaper, CRM is accessible to almost everyone and everywhere in India. Mobile internet revolution in India is also changing the CRM landscape in India to an extreme level. Cheap smart phones with more affordable mobile internet plans helped to take Mobile CRM to the next level. Mobile CRM has completely changed the way CRM is thought and used in India. Now it has become one of the biggest productivity tools for sales and service teams. CRM in India has made considerable progress to its present situation and is far to proceed. Considering the huge and diverse market that India has, arrangements intended for the western countries cannot be deployed here. Hence, it is of great significance for the Indian market to have a CRM streamlined on the basis of Indian management principles and practices. What could be better than we doing it for ourselves, hence following the statement ‘Of the Indians, by the Indians, for the Indians’.